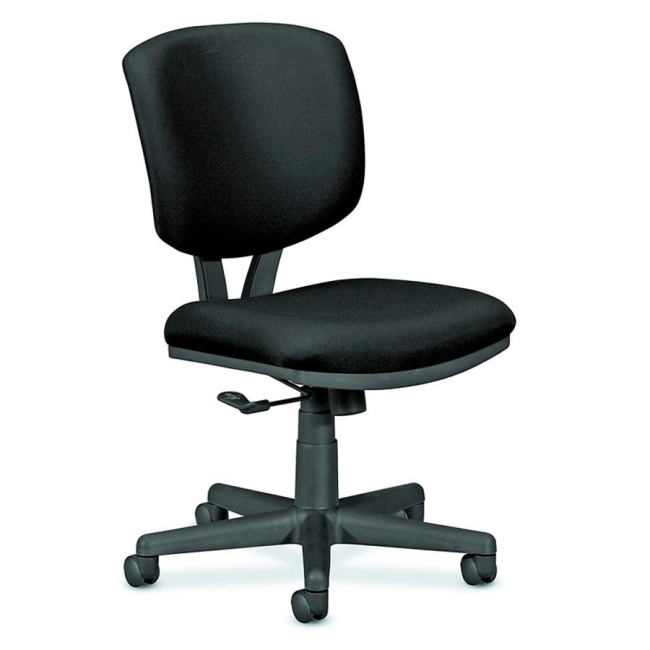 Task chair features pneumatic seat-height adjustment, 360-degree swivel, tilt, tilt tension and tilt lock. Design includes a fully padded 17-1/4" wide back and seat, and 2-1/2" hooded dual-wheel casters. Seat size is 18-1/2" wide x 18-3/4" deep. Seat-to-floor height ranges from 18" to 22-1/4". Back size is 17-1/4" wide x 18-3/4" high from the seat. Height-adjustable arms are sold separately. Chair meets or exceeds applicable ANSI/BIFMA and ISTA performance standards.